¿Qué tiempo hace? How's the weather? 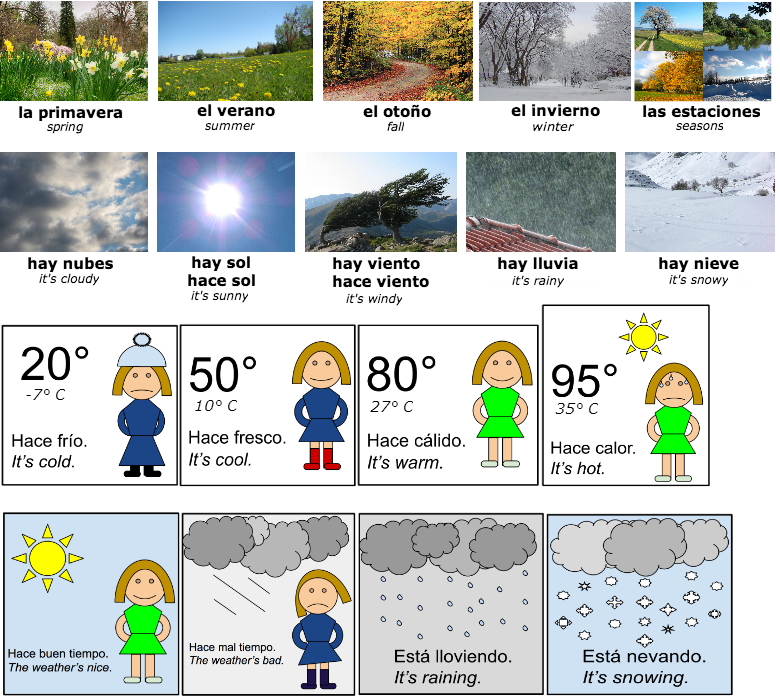 In this lesson you'll learn to talk about the weather in Spanish. You might not have realized it, but talking about the weather is pretty sophisticated. When you talk about the weather, you can talk about whether it's nice out or not. You can talk about whether the weather is usual for the season you're in. You can talk about the temperature. You can also talk about what the sky looks like, or whether the air is moving. Finally, you might talk about whether precipitation is falling. Practice remembering what each weather term means, below. 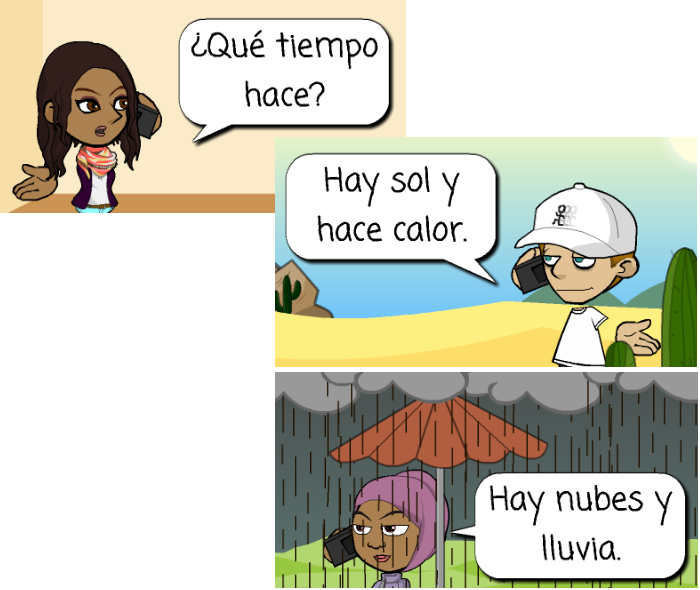 Here's how to ask someone how the weather is (where they are) and tell someone how the weather is where you are. How's the weather? ¿Qué tiempo hace? How's the weather there? ¿Qué tiempo hace allí? En el invierno, usualmente hace frío. In the winter, it's usually cold. En el verano, usualmente hace calor. In the summer, it's usually hot. Next is how to describe the weather. There are 2 ways to say that precipitation is falling.